Hello and Happy Tuesday! It's been a busy couple of days for me after celebrating Father's Day with my Hubby this past weekend. I guess I try to cram too many things into a weekend, am I the only one that does that?? 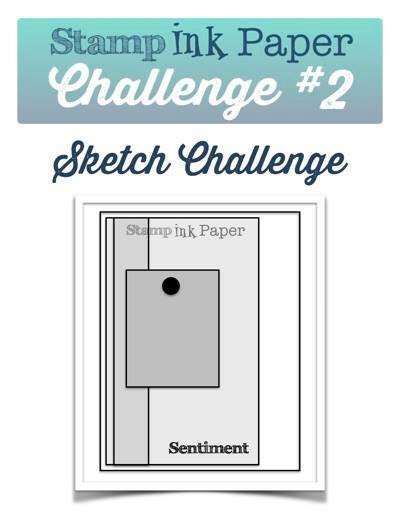 Today I'm back over at Stamp, Ink, Paper with a new Challenge Card. 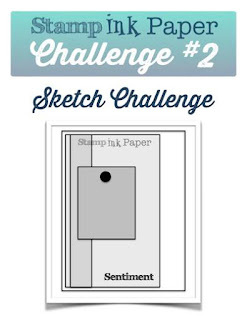 This week's challenge is a sketch challenge! Sketch challenges are so much fun because it really is up to interpretation and you can totally make it your own. I hope you'll check out all of the design team cards at SIP this week and give this Challenge a try! For my card I started with an 11" x 4 1/4" sheet of Bermuda Bay scored at 5 1/2". I layered on a 5 1/4" x 3" piece of the new Bohemian DSP and added a 1" strip of crumb cake topped with the Delightful Dijon Lace Trim to the left side of my card. 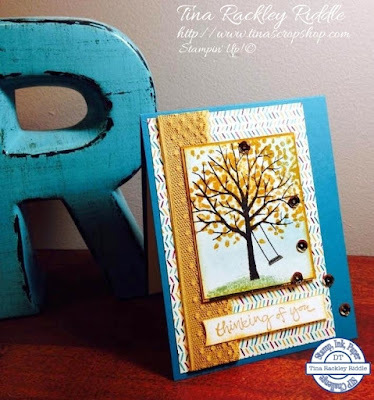 I stamped my tree and swing image from the Sheltering Tree stamp set ontoWhisper White rectangle after I had lightly sponged on some Bermuda Bay Ink. I glued this to a piece of Delightful Dijon cardstock and then used my Stampin' Dimensionals to adhere the layered piece to my card. My whisper white banner was stamped with Delightful Dijon ink and sponged with it around the edges. I added a few Pretty Pink Posh gold sequins to finish it off. This was an easy card but I really like the way it turned out! awww.. thanks so so much Darnell! I shall run over and follow you right now! :) Thanks and Hugs back! 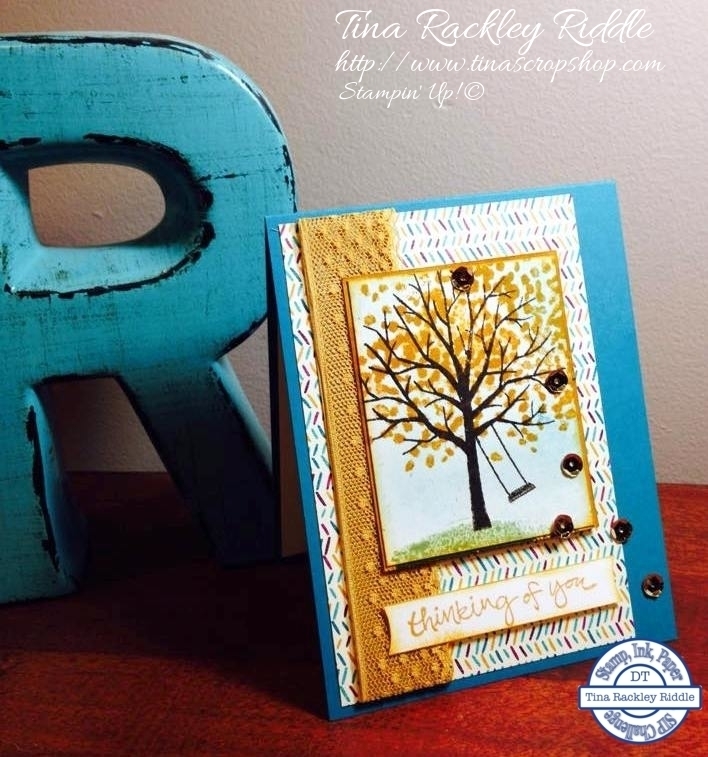 Love your card and color combination! Very pretty.